Laleli region is one of the distinguished shopping and fashion centers of Istanbul, which primarily trades by exporting. 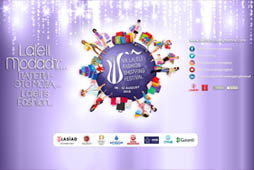 We, as LASIAD, are organizing the seventh "LALELİ FASHION SHOPPING FESTIVAL" which we have been organizing as from 2012 in order to enable our members and approximately 7.000 workplaces which are active in Laleli region to use production, marketing and sales channels better and to increase export thus providing foreign currency inflow into our region and country. We are breaking new ground in our country with support of R.T. Ministry of Economics, ITO and IHKIB and organizing the procurement committee event as in the previous years. We will organize briefing, store visits and B2B interviews for the purposes of introducing LALELI and our country, representing our production, sales, export, production, quality and diversity along with delegations who will be guest during the festival. Our country is growing day by day in commercial terms. Laleli is doing its part and continuing to contribute to Turkey's economy. The studies that we have carried out in this field have appeared in the national printed and mass media for days or even weeks will make a great contribution for brand awareness of both Laleli and our country. We are growing in terms of both commerciality and prestige and also develop our business vision more with this organization that contributes to promotion of our growing and developing businesses. Thanks to 'Laleli Fashion Shopping Festival' which proceeds by increasing number of the visitors and participants each year, Laleli attracts attention in terms of both shopping and tourism.